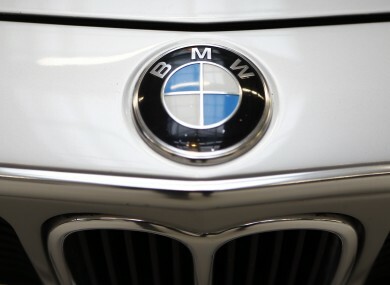 BMW ANNOUNCED IT WOULD begin mass-producing its own self-driving car in five years time, with the aim to have a fleet that can operate without needing a driver. The company is teaming up with Intel and Mobileye, a company that provides sensors for self-driving cars, to create the iNEXT, a fully autonomous vehicle. The goal is to develop features that will not only allow drivers to take their hands off the steering wheel but let them take their eyes off the road and ultimately their mind off driving. The ultimate aim is to achieve a stage where a car can travel without a driver inside, and allow possibilities for ridesharing in urban areas. The other major element of this announcement is BMW’s aim to create an open-platform that can support these different levels of control, and work with other automobile makers as well. The announcement comes shortly after the first death involving a self-driving car occurred. The Model S from Tesla Motors offers autopilot mode which allows cars to drive on their own in certain conditions but requires the driver to keep their hands on the wheel in case they need to react quickly. In this case, the car ended up crashing after its cameras failed to distinguish the white side of a turning tractor and trailer from a brightly-lit sky. The founder of Tesla Motors, Elon Musk, described autopilot as an “assist feature” and that drivers need to “maintain control and responsibility” while using it. Most automobile makers have been working on including some form of self-driving functionality in their cars while Google has been working on self-driving cars for years. In the short term, BMW, Intel and Mobileye will demonstrate an autonomous test drive with a prototype capable of highly automated driving while in 2017, it will extend this to fleets with extended autonomous test drives. Email “BMW is giving itself five years to develop a fully self-driving car”. Feedback on “BMW is giving itself five years to develop a fully self-driving car”.